PolishOrigins Adventure. Part 8: It is hard to say goodbye. 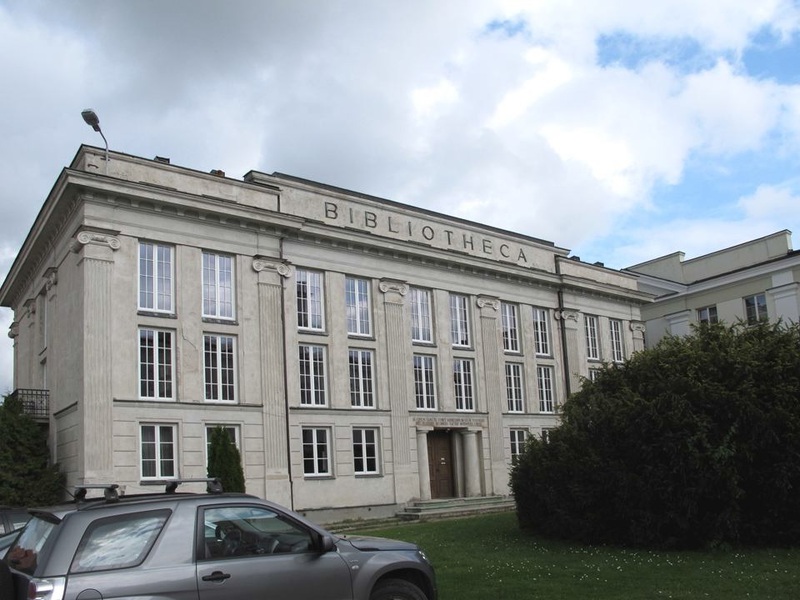 In Płock we visited the Church diocese archives. PolishOrigins Adventure. 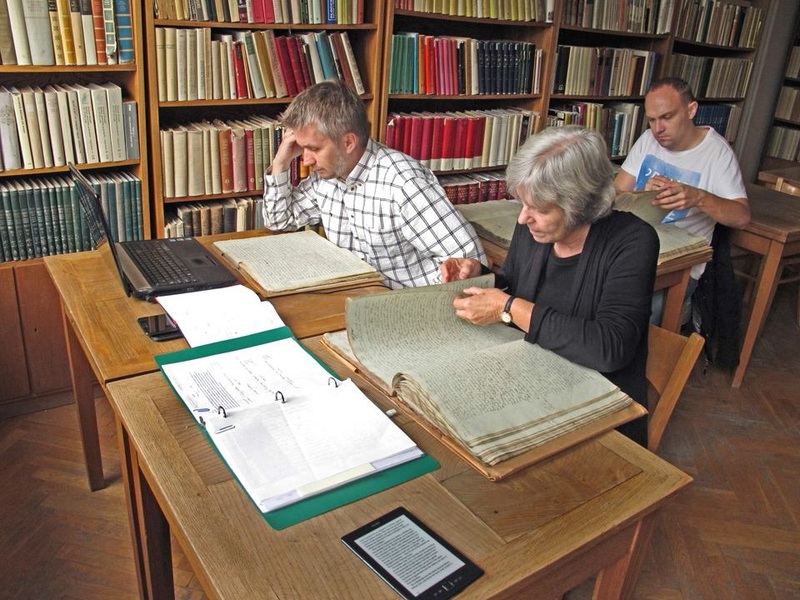 Part 7: A visit to Osiek Piaseczny. I was hoping a trip to Osiek Piaseczny would result in some great discoveries! Maybe evidence of the mill from family stories (and visible in the previous photo), some Cybulskis still in the area, an old house – Genealogical research always has surprises. I thought the Cybulskis would be easy to track back to Poland because there were so many records in the microfilm showing large families. Alas, that was not the case. As we drove into the very small village, we took a picture of the village shrine. 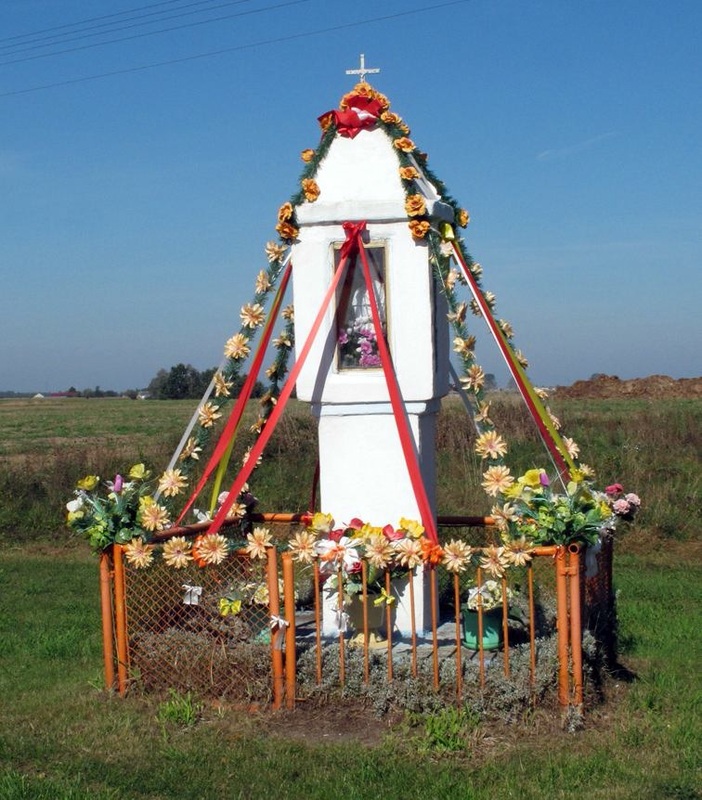 Many places in Poland have similar shrines created to protect the village. This one at Osiek Piaseczny was especially colorful. PolishOrigins Adventure. Part 6: My grandmother’s homeland. years the family lived within the parish of Koziebrody. PolishOrigins Adventure. 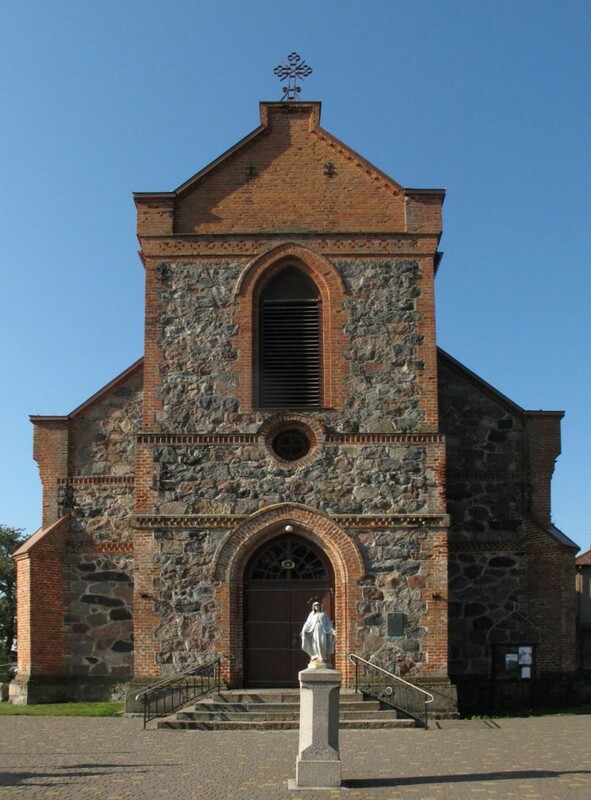 Part 5: Lachowo Parish Catholic church. Of course our trip included a visit to the Catholic Church in Lachowo that served the villages of Rydzewo-Świątki (birthplace of Rajmund Wierzbicki) and Kumelsk (where he and his mother were living in 1909). The current building was constructed in 1877 which means it is the exact building where my grandfather was christened and attended the first 17 years of his life. It was an amazing feeling to walk into this church and realize that this distant church would have been such an important part of the lives of my many relatives with the names Wierzbicki, Dąbrowski, and Sadowski. PolishOrigins Adventure. Part 4: Meeting with Jadwiga. The following day we returned to Kumelsk to visit Jadwiga. We hit a genealogy jackpot! We begin talking, through Zenon’s rapid translations, and immediately learned we are both former school teachers! 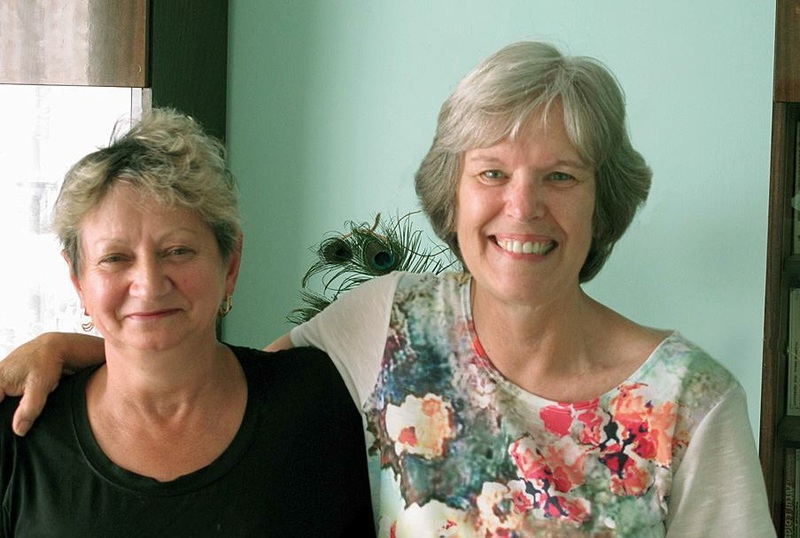 Before long, Jadwiga was sharing photo albums and seemed more like a sister than a distant cousin! PolishOrigins Adventure. Part 3: Kumelsk. PolishOrigins Adventure. Part 2: My grandfather’s homeland. Before discussing our discoveries, please allow me to digress a little. The national symbol for Poland, like the United States, is an eagle. Notice the crown on the eagle’s head. Until 25 years ago, it had been missing for many, many years. Why? 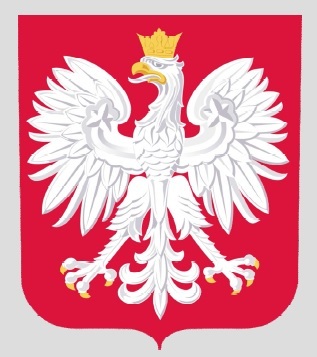 Under communist rule, Poland’s eagle was not allowed to be displayed with a crown as that went against the communist policy. Today, Poland’s eagle once again proudly has a crown. PolishOrigins Adventure. Part 1: Introduction. The series of blog posts was originally published on Adrianne’s blog: http://fortenberry.wordpress.com/2014/11/14/polish-origins-adventure/. This trip was taken in honor of my mother, Wanda Wierzbicki Fortenberry. I wish she had been with me. Between 1976 and 1984, my father and mother, with help from the rest of the family, researched and published a family history on my dad’s family, the Fortenberrys. 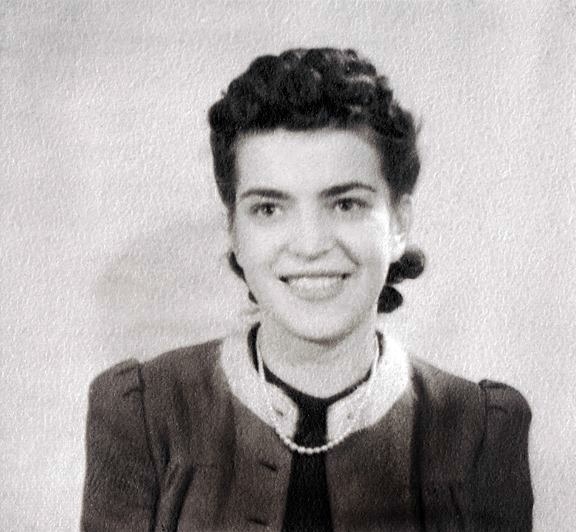 During this time, mom would periodically attempt to research her parents’ Polish roots. Because the internet and digitized records were still in the future, not much could be accomplished. So instead, she wrote the stories she had heard as a child. 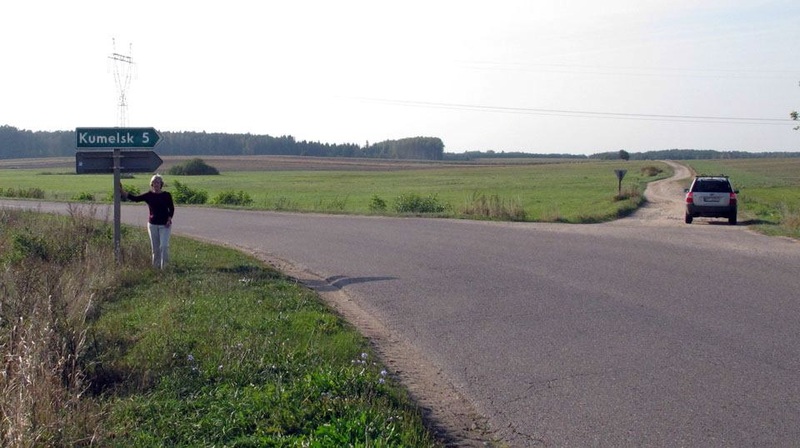 This is the story of my attempt to find the Polish roots of my grandmother, Pelagia Jaroszewska, from north of Płock and my grandfather, Rajmund Wierzbicki, from north of Łomza.